NYC, 04/08/2019, 6:00PM. Losing Earth: A Recent History. 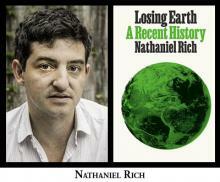 Award-winning writer Nathaniel Rich discusses Losing Earth. explaining how political and business leaders agreed on the causes of climate change but failed to act.